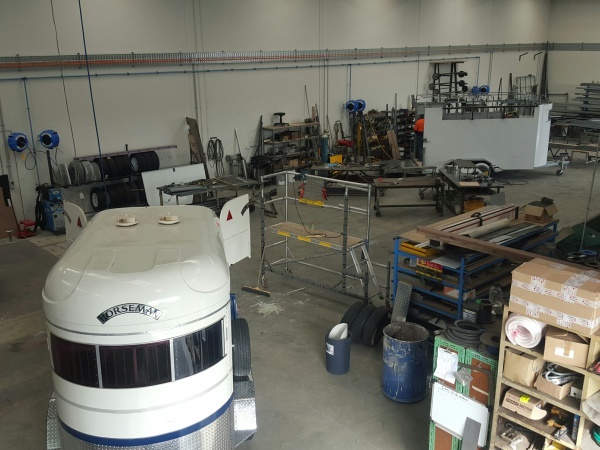 Our workshop employs full time staff that specialise in all areas of horse float construction including, chassis assembly, welding, auto electrical, paint work and final fitting and fixtures. Our floor space in the workshop is large enough to cater for multiple areas of construction at the one time, ensuring prompt attention if given to your new float or a float in for repairs or maintenance. We have set the standard with OH&S, maintaining a tidy, safe and friendly environment to work in. We have the latest technology with our Brand New spray booth. It was installed with in our premisis at Mt Barker by Monarch Industries. 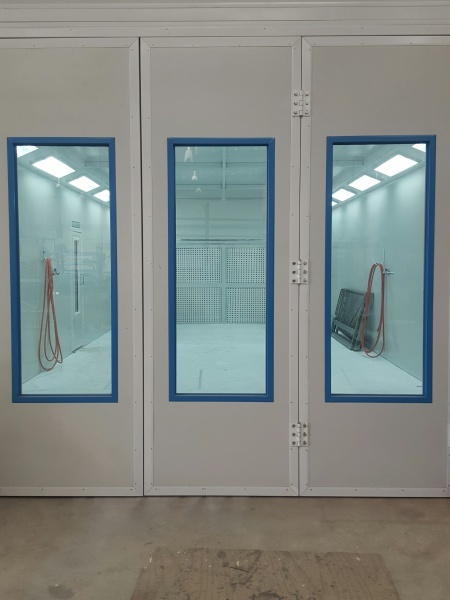 This inhouse spray booth allows us to control the quality of workman ship and correct baking and drying time that paintwork needs to produce the best, streamlined finished product. All floats are painted with an automotive two pak paint that is baked on. We can also spray all internal divider and window bars to our satisfaction in a prompt and timely manner. We carry a large range of external colours and paint options to suit your individual requirements. Float manufacture time is minimised as we are able to prioritise our work load and have full access to this booth when ever it is required.